People that are more jealous, the the more It feel sorry for himself! 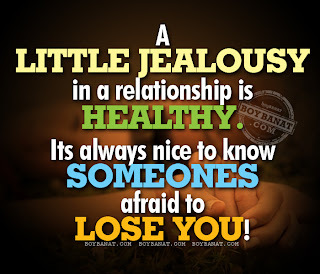 Jealousy would only brings bitter sadness. The more you get rid of it the more you are contented!. Check out this extensive collection of best, hater and latest Jealous Love Quotes and Sayings Collection by www.boybanat.com for you and to share with. If you have your own favorite Jealous Love Quotes and Sayings in even in tagalog/pinoy, we would love to hear it, simply add a comment below or just email it to us with a subject: jealous love, and will posted up for you. Hope you'll like it! Jealousy is a tiger that tears not only it's prey, but also it's own raging heart. If someone has something bad to say about you, it’s probably because they have nothing good to say about themselves. Haters really don’t have their own lives actually. Why? Because they are so focused to live in yours. I don’t want to be your favorite or your best. I want to be your only and forget the rest. 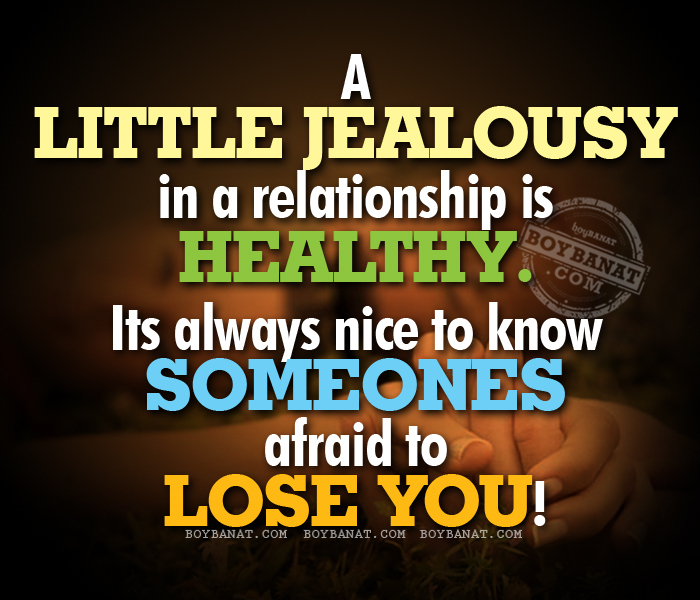 A little jealousy in a relationship is healthy. Its always nice to know someones afraid to lose you. Caring can be mistaken for jealousy, but jealousy can only be likened to envy. Call me selfish. But you’re one of the blessings that I dont want to share with anyone else. I’m just scared someone better is gonna take my place. If you’re not working on trying to be mine then you shouldn’t be worried about who consumes my time. Jealousy of others towards me had made me much more stronger than I was! You have showed me that there’s something in me for you to be jealous of! Thank you for making me realize my talents. I love all my haters!. I don’t understand our relationship. Sometimes we’re friends, sometimes we’re more then friends and sometimes I’m just a stranger to you. Get the latest Pinoy Quotes, Jokes, Pick Up Lines and Banat Lines for FREE! Boy Banat, vast collection of pinoy quotes, pinoy pickup lines, pinoy love stories, inspirational text quotes, christian greetings, bob ong quotes, love stories, celebrity jokes, pick up lines and even informative news. Boy Banat also provides array of pinoy jokes and banat lines to share with your family, loved ones, friends, and special someone.